The London Borough of Havering announces a £1bn contract and major new joint venture (JV) partnership with Wates Residential, which will see 12 Council estates regenerated to provide around 3,000 homes in Havering over the next 12 years. 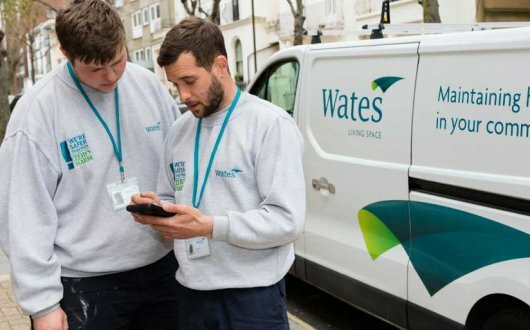 The London Borough of Havering announces a £1bn contract and major new joint venture (JV) partnership with Wates Residential, which will see 12 Council estates regenerated to provide around 3,000 homes in Havering, London, over the next 12 years. • The project will see an overhaul of Havering’s existing Council accommodation. Delivering improved provision, the regeneration will increase council rented accommodation by 70 per cent and build 400 low-cost home ownership properties. By doubling the amount of affordable housing on the 12 estates, this project delivers much-needed affordable homes for borough residents that are truly affordable on local income levels. 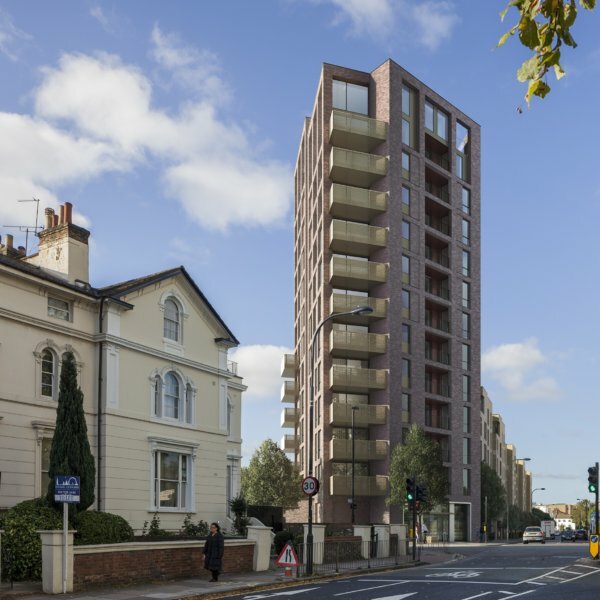 • The scheme will see the Council’s current stock of 966 homes replaced to create 3,112 homes of mixed tenure, encouraging more integrated communities. • This is a unique initiative as all Council funding for the project will come from the Council’s Housing Revenue Account (HRA). This is in addition to funding from Wates and the GLA. • Havering will receive £33m grant monies from the GLA, to deliver new estates where 40 per cent of the homes will be affordable. • The scheme will deliver a lasting legacy for the community through investment in skills, training and education. Working with Wates, the Council predict the social value benefits from Phase 1 will be worth around £6.8 million. Commitments include the creation of a Construction Academy through a partnership with Havering College and the Construction Industry Training Board and delivering around 165 apprenticeships over the life of the scheme. • An extensive consultation exercise, which started 18 months ago, continues. To date, this has involved 741 residents across the 12 sites, 154 group meetings and 82 newsletters. There have also been over 600 one-to-one meetings with tenants. Feedback has shown strong support for the project from the majority of residents, who will soon be involved in the design of their new homes. • Extensive support is being provided to all residents on the estate to help them find new homes which will allow the redevelopments to begin. • The right to return is guaranteed to every existing resident on the estates being regenerated. Any housing that requires rebuilding will be done on a like-for-like basis to ensure no loss of existing affordable housing. This is the most exciting and ambitious Council home building programme in London, and I’m confident our new partner will be able to help us deliver our future vision for the borough. Forming this joint venture will allow us to provide high-quality new homes for existing residents and young people who want to stay in the Borough. Wates Residential is delighted to have been chosen as the London Borough of Havering’s partner on this extremely exciting project, and we look forward to working with the Council as we build more than 3,000 high-quality homes over the next 12 years. As a family-owned business, we have always been committed to giving something back to the places that we build in. I am proud that we will not only provide crucial additional housing, but also significant benefits to the community through our investment in skills, training, education and jobs for local people. Many of the new homes will be for affordable rent, while others will be low-cost home ownership, where the Council will retain a share in the property. There will also be properties for private sale. The regeneration scheme will focus on providing quality council housing and is expected to see a doubling of affordable housing. In addition, the levels of rent and purchase price of the low-cost housing will be at levels local people can realistically afford on their income levels. The affordable homes, which are in increasing demand, will be modern, built to high standards, and will make full use of smart technology. They will also be energy-efficient, with many having solar panels installed to help keep fuel costs down for residents. The scheme will see the Council’s current stock of 856 homes replaced to create 3,112 homes. The number of general needs rented homes will increase from 414 to 694, going up by almost 70 per cent. The total number of affordable homes will go from 595 to 1,186, doubling the current offer. This will include 383 low cost home ownership properties. • Total regeneration of the Waterloo Estate in Romford, as part of the Romford Housing Zone. • Total regeneration of the Maygreen Crescent and Park Lane estate in Hornchurch. • Total regeneration of the Oldchurch Gardens estate in Romford. • Total regeneration of Napier House and New Plymouth House in Rainham, as part of the Rainham Housing Zone and delivery of the new Beam Park community. • Royal Jubilee Court in Gidea Park will be developed as an older persons’ village. • Serena, Solar and Sunrise Court in South Hornchurch will be developed as an older persons’ village. • Brunswick Court in Cranham will be demolished and redeveloped as an extra care sheltered housing scheme. • Adding two more levels of flats on top of existing flats in Chippenham Road, Farnham Road and Hilldene Avenue in Harold Hill. • Four sheltered housing scheme sites will be regenerated for general needs housing, some of which may be allocated for people over the age of 50. The first phase of the development is due to start late 2019 on the Waterloo Estate and at Napier and New Plymouth and Solar, Serena and Sunrise. The whole project is expected to be delivered over the next 12-15 years.